Hi, and many thanks for visiting our website. We’re the Huse’s from Reading in Berkshire. 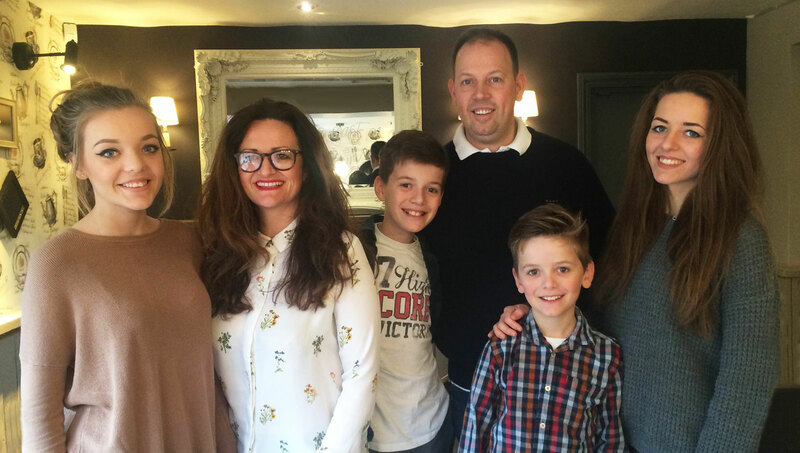 We’re a family of six who can generally be found working hard in one capacity or another, be it at work, at school, at home or on the football pitch! My wife Emma and I have been holidaying in Cornwall since we first met some 25 years ago, and these cherished trips have continued as each of our four children have arrived into the world. There’s really not much of Cornwall that we haven’t covered over the years, and we love it all. Whilst one Cornish town can be very different from the next, they all share the same friendly and relaxed attitude that sets Cornwall apart from the rest of the country. The six of us were holidaying just to the North of Bude late in 2010 when we stumbled across Widemouth Bay on a sunny October afternoon when the low tide allowed the beach to greet us with its full expanse of golden sand. The beach was wide, diverse and spectacular, but the biggest appeal for us was how it belonged entirely to this unassuming coastal village. On reflection, the hour that followed was unusual. Whilst our children played there were more thoughts than words from Emma and I, with the silence of us taking-in the surroundings only being broken by spatters of “How have we missed this” and “I’d love to have a place here”. From the beach we headed into The Bay View Inn (which being in the ‘Good Food Guide’ is what brought us to Widemouth Bay in the first place). The pub was homely, the staff friendly, the food great and the views spectacular. Looking back it was The Bay View Inn that ’clinched the deal’ for us, and although spontaneity was (we thought) something from our youth, we finished our meal agreeing that we would buy a home in Widemouth Bay to enjoy. A few months of Internet work followed until a few days before Easter in 2011 we saw Stay come onto the market. We were already booked to be in Cornwall over the Easter break so arranged to view the property on the way down. Good Friday was spent mostly deliberating and smiling at each other, and on the Saturday morning we took the opportunity of catching the agent during their short shift over the Easter weekend with an offer that was agreed within the hour. We collected the keys for Stay in July 2011 and embarked on a refurbishment project that was a balanced mix of excitement, drudgery, fun and disbelief! The project evolved from initially being a tidy up of the garden and a quick lick of paint, to a complete refurbishment. We’ve enjoyed many happy weekends of planning, DIY and gardening throughout 2012 and 2013, each of which we’ve tried to keep a good balance of work, relaxation and family fun. With the refurbishment now complete, we feel very privileged to have created not simply a holiday let, but our second home in this very special part of Cornwall. The property is now available to let to those who promise to look after it, and enjoy it as much as we do!